WORKING FOR YOU... SO YOU CAN KEEP WORKING! WHEN YOU CHOSE MIDLANDS EXCESS WORKERS’ COMP You choose a partner you can count on. You can count on our team of professionals to provide coverage solutions for Single Entities, Groups & Public Entities, through an A.M. Best “A” IX Rated Carrier. Our relationships with industry partners, ensures you get the support you need and the coverages your clients require. Cracking the Code – ICD-10 is Upon Us! he age-old argument about whether itâ&#x20AC;&#x2122;s better to bundle services or hire boutique providers will never be settled, but recent industry developments cast a spotlight on whether a standard practice associated with administrator services only (ASO) contracts has gone too far. STEEP INTERFACE FEE HIKES | FEATURE At issue is the “interface” fee that some BUCAs (Blue Cross and Blue Shield plans, UnitedHealthcare, Cigna, Aetna) charge self-funded employer customers in ASO arrangements for switching stop-loss carriers, which several industry insiders say is becoming so exorbitant in some cases that it’s anti-competitive, unjustified and bad for the consumer. These interface charges – also are known as access fees, connectivity fees, integration fees and stop-loss reporting fees – seek to cover the cost of generating reports that allow stop-loss carriers to pay claims An industry executive who asked not to be identified noted that Blue Cross Blue Shield of Michigan earlier in the year doubled its interface fee to $8 per employee per month (PEPM) from $4 when these charges average just $1 to $2 PEPM across the U.S. He also cited Independence Blue Cross in Pennsylvania for recently increasing its interface fee “very significantly,” but was unable to provide details. “The increase in interface fees has negatively impacted customer choice, resulting in higher stop-loss premiums for employers,” the source says. Others on the brokerage side of the self-insurance industry who also asked for anonymity because of their relationship with various BUCAs griped that what was once a minimal expense has since become a revenue stream. They also cry foul about plan administrators even charging these fees when some brokers are actually the ones filing and tracking claims for their self-funded clients. fee increases a cost of doing business. “It’s either viable with their own pricing and their own reinsurance, or it’s not,” he says. It’s also the nature of bundled services that certain tradeoffs come with a comprehensive approach to health plan management. “When you get into a selffunded TPA environment,” Touché observes, “in many cases you’re determining who all your players are and the rules to follow.” He says the flexibility associated with this best-of-breed approach, which allows self-insured employers to freely choose their own reinsurer, explains why TPAs thrive – hastening to add that industry consolidation has resulted in fewer choices being available. Blues plan policies pertaining to interface fees vary from one state to the next, according to Touché. In Arizona where his brokerage is based, for example, he says that when Blue Cross Blue Shield of Arizona acts as an ASO carrier, the issue is moot because self-insured employer customers are prohibited from using outside reinsurance in the first place. “They use their own reinsurance,” he explains, though adding “they’re starting to waver on that now.” He describes the practice as “a function specifically of how competitive the reinsurance is, because when I bundle those fixed costs with their network fees and admin fees, just those three things together have made them uncompetitive, they’re not in the right business. They’re going to get flexible if that’s the case.” Mining new revenue streams through ASO contracts make perfect sense when so many BUCAs are losing money on their fully insured business by having to comply with medical loss ratio requirements under the Affordable Care Act, according to a broker industry source with knowledge of the fee increases who also asked not to be identified. But she says the problem is that these higher fees are being passed along to their self-insured clientele, “whether they like it or not.” The lesson to be learned is they need to ensure that the fees are disclosed up front, she explains. person paying them, the self-funded group. They’re really not providing a very good product.” ■ Bruce Shutan is a Los Angeles freelance writer who has closely covered the employee beneﬁts industry for more than 25 years. WHAT WILL YOU DO WITH YOUR EXTRA $2.5 MILLION? Replacing your PPO network with an AMPS Reference Based Reimbursement solution can yield an average of $2.5 million in savings Net Profi Profit per 1,000 member lives. Learn more about the AMPS Reference Based Reimbursement process by downloading our RBR whitepaper. CD-9, the now ubiquitous method of categorizing disease and injury, was adopted in the United States in 1979 and has been the standard for decades. Every medical provider, health plan, insurance adjuster or claims processor encounters ICD-9 codes regularly, if not on a daily basis. All of that is about to change. On October 1, 2015, all HIPAA covered entities will be required to transition from ICD-9 to ICD-10 code sets, pursuant to 45 CFR 162.1002 (HIPAA deﬁnes covered entities as (1) health plans, (2) health care clearinghouses and (3) health care providers). Entities which are excluded from this classiﬁcation and therefore will not be required to make the transition to ICD-10, include workers compensation insurance, automobile insurance (both liability and medical payments) and other excepted beneﬁts, such as certain on-site medical clinics. Although these coverages and entities will not be required to use ICD-10 coding, they will necessarily need to work with providers, plans and other HIPAA covered entities which are required to make the transition, so there are clear incentives for anyone who deals with ICD-9 coding to make the transition to ICD-10, whether or not they are required to do so. These entities will also beneﬁt from the increased speciﬁcity of ICD-10 and utilizing the same coding system as the medical providers and health plans with whom they will continue to need to work will avoid signiﬁcant complications. ICD-10 codes, while claims for services provided prior to this date should be submitted with ICD-9 codes. The Medicare program has also announced that it will afford a 1 year grace period after October 1, 2015, during which claims won’t be denied simply because the ICD-10 codes submitted aren’t specific enough. This should not be mistaken for any grace period relating to the actual requirement to utilize ICD-10 codes; ICD-9 codes are not to be utilized by HIPAA covered entities after October 1, 2015 and claims submitted to Medicare which utilize ICD-9 codes will be denied. can be introduced, simply because the ICD-10 coding system provides for so much more specificity. Take the example above of a code for a broken leg, for instance. Imagine an employee, Jane, slips and breaks her left femur at work. She is rushed to the hospital, undergoes emergency surgery and is expected to make a full recovery. When the hospital submits the bills to the employer’s workers compensation insurance, they do so using an ICD-10 code for “full fracture of left femur, slip and fall.” Workers compensation is still utilizing ICD-9 and translates the code as best they can, ending up with “broken leg”. All of the crucial, added information in the ICD-10 code is lost. Through an investigation, workers compensation determines that Jane had previously injured her right leg in a kayaking accident and the injury had healed abnormally, leaving her especially susceptible to re-injury. Workers compensation then denies the claim based on a lack of causation, where if they were using ICD-10, they would see that it wasn’t even the same leg. When entities communicating with each other use different coding systems, there is also an opportunity for the opposite problem: that unwanted (and inaccurate) medical information is introduced into a patient’s record. dictates which entities must utilize the new ICD-10 coding and when they must begin. Whether a plan can deny a claim pursuant to the plan document and/or PPO contract for improper coding and whether the plan can accept ICD-9 coding or require ICD10 coding pursuant to HIPAA, will be distinct and separate questions. For example, we examined a few plan documents for language which would impact this issue. other person or entity accepting payment from the Plan or to whom a right to benefits has been assigned, in consideration of services rendered, payments and/or rights, agree to be bound by the terms of this Plan and agree to submit claims for reimbursement in strict accordance with their State’s health care practice acts, most recent edition of the ICD or CPT standards, Medicare guidelines, HCPCS standards or other standards approved by the Plan Administrator or insurer. Sample 4: Claim Records and Reporting Requirements Company shall maintain appropriate records with respect to all payment determinations made with respect to Participating Provider claims for the duration of this Agreement and for seven ( 7 ) months thereafter. All Participating Provider claims shall be maintained in the original form or on electronic media. At [network]’s request, Company shall arrange to provide [network] with real-time and retrospective claims information in a mutually agreeable format... The claims information shall include, but not be limited to, patient and Subscriber identifier, claim number and check number, billed amount, allowed amount, paid amounts, payee (e.g. Member or Provider), billing codes, Provider name, Provider address, Provider TIN, date of service, date claim was received and date paid. While these agreements generally do not address specific coding formats, it is certainly plausible that a network would deem ICD-9 coding to not constitute “appropriate records” or a “mutually agreeable format”, particularly when dealing with a covered entity which is required by law to have made the change to ICD10. This is the kind of disconnect which won’t rear its head until some very large claims hang in the balance. In addition to potential PPO network issues, failing to fully address the issues implicated by the ICD-10 change-over can have stop-loss repercussions. Stop-loss and reinsurance contracts almost invariably condition reimbursement on the underlying claims being payable under the terms of the plan. Likewise, stop-loss will reserve the right to make an independent evaluation of a claim’s payability and need not defer to the plan’s initial decision. When a plan pays claims submitted in ICD-9 contrary to either the terms of the plan or applicable law, or pays claims submitted in ICD-10 when the plan document requires ICD-9, stop-loss in either instance has a tempting and plausible basis to deny reimbursement and take the position that the claims should not have been paid by the plan. Any discrepancy between the plan document and either applicable law or plan procedures in practice creates an opportunity for stop-loss denials. This is an added incentive for plans to ensure their plan language conforms with applicable requirements. We all know where this is going. Stop-loss either: (1) looks at the ICD-10 code, discovers the kayaking accident and denies for third party liability, or (2) discovers the claims were submitted in ICD-9 and denies based on the fact that they should never have been processed in the first place. In either event, the plan is not being reimbursed and any argument they had against the provider for submitting ICD-9 coding was lost when they took it upon themselves to convert the coding and process the claims. All of this is just a brief glimpse at a few of the wrinkles which can and will come up when the healthcare world shuts the door on ICD-9, the system in use for almost 40 years. Starting on October 1, 2015, all HIPAA covered entities are required to utilize ICD-10 coding. This will include all medical providers and health plans, but not auto insurance coverage (either liability or first party/ medical payments coverage), excepted benefits (such as on-site clinics), or workers compensation. Workers compensation adjusters, auto insurance adjusters and attorneys will not be required by law to utilize or accept ICD-10 coding, as they are not “covered entities” under HIPAA’s Privacy Rule (http://privacyruleandresearch.nih.gov/pr_06.asp). In practice, however, these entities will eventually need to accommodate ICD-10 codes, as all medical providers and health plans will be utilizing the new coding format. Further, all entities will benefit from the additional data found in ICD-10 codes. Some delay in making the change is to be expected, however, particularly on the part of those not directly impacted by the switch. To be sure, there will likely be something of a transitional period where certain entities need to work with both coding systems. Plans, TPAs, vendors, stop-loss carriers, workers compensation and automobile insurance adjusters; all will regularly see both ICD-9 and ICD-10 codes for some time. To complicate things even more, in certain situations, such as where activities with a certain case or group of claims can span several months, one may expect to use both ICD-9 and ICD-10 coding on a single patient, course of treatment, or claim. And of course, the risk remains, however small, that certain non-covered entities continue to utilize only ICD-9 codes, requiring providers and other entities to have dual coding systems. Once the pieces are in place to actually make the change-over internally and utilize the new coding, the next step should be to engage a knowledgeable partner to ensure that plan documents and related agreements don’t create any pitfalls for your plans, as well as stand ready to meet unanticipated problems as they arise. For more information, contact Ron Peck, Esq. at ron.peck@phiagroup.com. ■ Andrew Silverio, Esq. joined The Phia Group, LLC as an attorney in the summer of 2014. In addition to conducting research into novel and developing areas of the industry, his primary focus is on subrogation and reimbursement and he handles many of the company’s more challenging and complex recovery cases. Andrew attended Berklee College of Music in Boston, earning his B.A. in professional music. He then attended Suffolk University Law School, graduating with an intellectual property concentration with distinction. There, he took the step into the healthcare realm of the legal world, serving ﬁrst as an editor and content contributor and then on the executive board of the Journal of Health and Biomedical Law. Andrew is licensed to practice in the Commonwealth of Massachusetts. 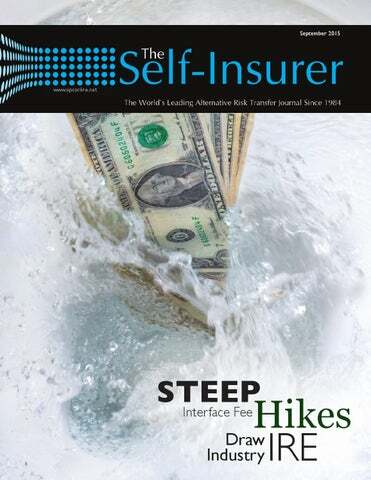 Congress Gets SIEF Brieﬁng on Self-Insurance; SIIA Responds to Rigid Stance on 831(b) Captives A continuing series of articles about SIIA’s federal government relations work on behalf of self-insurance. obert Melillo, chairman of SIIA’s Health Care Committee, was the lead speaker at a Congressional brieﬁng on the importance of self-insured group health plans for private employers and unions that was sponsored by the Self-Insurance Educational Foundation, Inc. (SIEF). The “Lunch and Learn” event was part of an ongoing series that SIEF presents to federal policymakers and their staff. Melillo, Head of Stop-Loss for Guardian Life Insurance Company, was joined in a panel that included Kathryn Bakich, Senior Vice President and National Health Compliance Practice Leader with Segal, an advocate for Taft-Hartley plans and trusts; and Katie Mahoney, Executive Director of Health Policy for the U.S. Chamber of Commerce. The panel addressed critical components of self-insured plans including why employers self-insure, how self-insured plans are structured to reduce costs and increase value and the legal and regulatory requirements applicable to self-insured health plans. “As leaders in the self-funded marketplace, it is our obligation to work closely with both our state and federal legislators to ensure that all key stakeholders have a sound understanding and appreciation of the self-funding model as a means of financing a plan sponsor’s healthcare spending,” Melillo said. He noted that many in the audience were attuned to the subject, especially relative to the Affordable Care Act (ACA). “I think we were able to debunk some of the myths surrounding selfinsurance’s possible effect on the ACA and state health care exchanges.” Melillo noted three areas of clarification about self-insurance that the panel provided: • Group health plans will not tend to migrate to self-insurance on a large scale instead of their members joining the exchanges. Self-insurance is a rigorous process that brings its own financial and regulatory challenges and is not for everyone. • Groups that become self-insured are not liable to move back to the exchanges when claims become difficult to pay. The audience learned that sound selffunded programs with appropriate stop-loss insurance are designed to prevent that from happening. • Is self-insurance going to become an option for exchanges themselves? Melillo said, “We don’t know, but we sense that the market is trying to figure out if there is a role there for self-insurance.” The Self-Insurance Educational Foundation, Inc. (SIEF) is a 501(c) (3) non-profit organization affiliated with SIIA. Its mission is to raise the awareness and understanding of self-insurance among the business community, policy-makers, consumers, the news media and other interested parties. The Foundation’s website is www.siefonline.org. to agree to the prevention of captives that are formed for the purpose of estate planning from electing 831(b) status. But that industry position was apparently not considered in the current JCT proposed specification according to Jeff Simpson, chair of SIIA’s Alternative Risk Transfer (ART) Committee which includes the ERC group. He provides an illustration: “Imagine a small town with one road serving all the residents. If, suddenly, great big 18-wheel trucks started rumbling along that road the townspeople would likely complain. They might even ask that 18-wheelers be barred from using that road. SIIA Seeks Clariﬁcation of Connecticut’s New Rules Governing Stop-Loss Policies Continuing the series of reports on SIIA government-relations advocacy in state legislative-regulatory issues affecting self-insurance. “Experimental/investigational” determinations Case management requirements Annual dollar limitations in coverage Mandated provider networks/benefit incentives for enrollees Requirements that enrollees be actively at work Right to examine enrollees Rescission for reasons other than fraud or intentional misrepresentation Early termination at the discretion of the carrier other than in accordance with cancellation and nonrenewal laws applicable to these policies • Terms or conditions that are misleading, deceptive or contrary to the public interest • Mid-term rate increases at the discretion of carrier • Any conflict with state law • Other provisions that are deemed to be health insurance and inappropriate for stop-loss The collective response by members of the self-insurance industry was “huh?” SIIA member Goodison, president of The Diversified Group TPA in Connecticut, was mystified about the motivation or origin of the Insurance Department bulletin, noting that it was issued without legislative action or apparently any input from the state’s insurance community. Department staff to resolve the many open questions. Jay Ritchie, a SIIA board member and senior vice president of HCC Life, a medical stop-loss insurance company, observed that the Connecticut issue provided another opportunity for SIIA to take a leading role in advocating for the self-insurance industry. in state after more than twenty years. This summer Wisconsin amended its laws to allow for MPL RRGs. Also in 2014, Allied Professionals Insurance Co., A Risk Retention Group saw favorable decisions handed down in three important court cases. In July, the RRG received a fourth court decision in their favor. The law was unsuccessfully challenged in court in the late 1990s by OMIC. 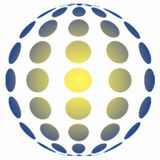 OMIC is a Vermont-domiciled risk retention group that began operations in 1987 and is sponsored by the American Academy of Ophthalmology (AAO) to provide medical professional liability and other coverages to the association’s members. According to Paul Weber, vice president of Risk Management and Legal for OMIC, “We insure approximately 4,600 AAO members nationwide. We estimate there are about 10,000 ophthalmologists in private practice in the US, so we insure about 46%.” At this time there are about 160 AAO members in Wisconsin. Since the early 2000s, OMIC has been pursuing a more diplomatic approach to changing the Wisconsin statute and has been working with the Wisconsin Office of Commissioner of Insurance (OCI) to find a mutually agreeable solution. In 2012, OMIC was contacted by the leadership of the Wisconsin Academy of Ophthalmology and asked to seek legislative changes so that they could be insured by OMIC. OMIC later partnered with Preferred Physicians Medical Risk Retention Group (PPMRRG) to pursue a legislative correction. As stated in a previous article (August, 2014), Tim Padovese, CEO of OMIC said, “At this time, these avenues–ongoing discussions with OCI and legislation–seem like the best uses of our resources [rather] than trying to re-open litigation. In that regard, we are continuing to reach out to other MPL RRGs... and other captive insurance organizations that would be interested in this legislative/collaborative strategy rather than an adversarial approach.” OMIC and PPMRRG found their champion in Wisconsin State Representative John Nygren, who introduced legislation during the 2014 session to amend the earlier law and allow RRGs to operate in the state. Assembly Bill 808 and Senate Bill 609 were written to amend Section 655.23 of the Wisconsin statute to allow for risk retention groups to operate as any other admitted carrier providing MPL. While MPL RRGs would still be non-admitted carriers, the bills allowed for them to be treated as admitted carriers as long as they have registered with the insurance department and been approved to operate. Each bill received a hearing in 2014 just prior to the legislature being adjourned and was recommended for passage at that time. In the intervening year, according to Weber, “OMIC and PPMRRG continued to work with Representative Nygren who was planning on making the change to the patient compensation fund statute during the 2015 legislative session.” “The language was included as part of [2015 budget modifications]. These modifications become part of the overall budget bill that comes out of the Joint Finance Committee and gets voted on in the Assembly and Senate,” continued Weber. “This year, there were about 70 modifications that were part of 2015 Wisconsin Act 55. Usually, these budget modifications have already been vetted by the Assembly/Senate, like ours were in the 2014 legislative session, so the leadership of the legislature wanted these to move forward.” 2015 Wisconsin Act 55 was passed and signed into law in July. OMIC has already begun to work with OCI in order to begin insuring Wisconsin ophthalmologists as early as January 2016.
direct action lawsuits] come up, judges will look at what the other courts did and will likely follow their rulings.” “I think that the legal precedent/ rule in this area is now pretty stable,” continued Schroeder, “I think that we will see far less litigation in this area.” ■ Karrie Hyatt is a freelance writer who has been involved in the captive industry for more than ten years. More information about her work can be found at: www.karriehyatt.com. Let UCS be your KEY to unlocking additional savings in 2015! Stop-Loss Captives Seen as Differentiator Editor’s Note: This is the third of a three-part monthly series leading up to SIIA’s national conference in October that is geared toward educating insurance brokers and advisers on alternative risk transfers involving captive insurance solutions. The aim is to address any concerns and misperceptions, as well as better prepare them to answer client inquiries about these arrangements, particularly in small and middle markets. hen Bob Madden with Lawley Service Inc. ﬁrst presented stop-loss captives to fellow brokers at SIIA’s 2010 conference, the reaction was largely silent. But since then, he has noticed it’s piquing the interest of more brokers and stop-loss carriers. “There are not a lot of people doing this,” he explains. Offering this alternative funding mechanism paves the way for more consultative interaction with employer clients, whereas those who stick with traditional product sales are wedded to “products they can’t control,” says Jeff Fitzgerald, VP of employee benefits at Innovative Captive Strategies and a member of SIIA’s Alternative Risk Transfer (ART) Committee. better risk and utilization profiles than they would have without it.” Another point he raises is that the vast majority of them work through carriers who pay claims “directly and quickly” without wading into esoteric territory. From a risk management standpoint, Fitzgerald describes these captives as “much more straightforward than, let’s say, a large, single parent captive that’s in a very specific niche, be it energy, finance, or construction with risks the regular market has trouble addressing and it’s a very big exposure to them.” Mike Madden, division senior vice president for Artex Risk Solutions, Inc. and no relation to Bob Madden, believes medical stop-loss captives offer brokers a better opportunity to distinguish themselves compared to P&C captives. roughly half of midsize employers using alternative risk transfer or captive programs for their risk management, Bob Madden says medical captives only started to catch on about five to 10 years ago. Brokers that don’t consider stoploss group captives for their clients may be missing an opportunity to strengthen their commitment to helping their clients manage risk, as well as elevate their own value by transitioning from pure placement to strategic partner, Mike Madden opines. of sales at Roundstone and a member of SIIA’s ART Committee. Such captives offer a “smoothing mechanism” for small and midsize businesses that have historically been fully insured and subjected to significant volatility based on their size, he says. Through this arrangement, Pompili explains that they’re moved into a variable cost structure and allowed “to self-fund in a very secure and easy fashion compared to if they were on their own self-funding.” Bob Madden notes that “relatively small-sized groups may not have the courage, confidence, or understanding yet to take that leap to self-funding, but captives can be kind of a transitional step to be self-funded on your own.” A stop-loss captive expands access to programs, stability, transparency and accountability as part of a likeminded group of companies that they may not be able to achieve on their own through either the traditional fully insured or self-funded market, Fitzgerald says. Ideal candidates for a stop-loss captive are mid-market groups with broad enrollment demographics featuring a solid mix of singles and families. “We usually end up underwriting more to what they want to achieve and to their frustration than we do to actually the type of industry that they’re in,” he adds. carriers are dictating the terms of broker compensation, whereas it’s a non-issue for brokers who work with a captive manager. SIIA NATIONAL EDUCATIONAL CONFERENCE on STOP-LOSS CAPTIVES Stop-loss captive programs represent a growing market segment with significant business opportunities for employee benefit brokers and advisers, according to the description of an educational workshop at SIIA’s 35th Annual National Educational Conference & Expo on October 18-20th in Washington, D.C. The session, “What Brokers Need to Know About StopLoss Captive Programs,” is one of three sessions on captives tailored to the broker community. An entire educational track on captives will feature eight of the conference’s 40 sessions at the world’s largest event focused exclusively on the self-insurance/ alternative risk transfer marketplace. Speakers will include Mike Ferguson, president and CEO of the Self-Insurance Institute of America, Inc., who will give opening remarks; Lee Davidson, VP of Berkley Accident & Health, LLC, who will be the moderator; Jeff Fitzgerald, VP of employee benefits for Innovative Captive Strategies; and Don McCully, principal of Medical Captive Underwriters. consultative sales approach is that you are going to disclose what your fees are and nine-and-a-half times out of ten, your clients are not going to have a problem with it if you’re adding value,” Fitzgerald points out. He believes the stop-loss captive market will continue to evolve as it has before health care reform in spite of a regulatory movement at the state level to restrict the industry, comparing it with the tax code. “The reality of it is that I don’t know what the tax code is going to be 10 years from now, but I know there’s still going to be taxes,” he says. “I don’t know what the Affordable Care Act is going to state specifically 10 years from now, but I don’t think it’s going away and I know employers are going to need to address a way to finance their health insurance and ultimately to paying less claims in a manner that is stable and supportable. As long as employer groups are able to self-fund and address through wellness and clinical risk platforms the cost and amount of their claims, then stop-loss captives are going to be a niche part of that.” ■ Bruce Shutan is a Los Angeles freelance writer who has closely covered the employee beneﬁts industry for more than 25 years. CBO and JCT expect that premiums for health insurance will tend to increase more rapidly than the threshold for determining liability for the high-premium excise tax, so the tax will affect an increasing share of coverage offered through employers and thus generate rising revenues. In response, many employers are expected to avoid the tax by holding premiums below the threshold, but the resulting shift in compensation from nontaxable insurance benefits to taxable wages and salaries would subject an increasing share of employees’ compensation to taxes. Those trends in exchange subsidies and in revenues related to the high premium excise tax will continue beyond 2025. The Cadillac Tax applies to taxable years beginning after December 31, 2017. In IRS Notice 2015-16, the IRS addressed (i) the definition of coverage subject to the tax (“applicable coverage”); (ii) how the cost of that coverage is determined; and (iii) the application of the statutory dollar limit to the cost of coverage. More recently, in Notice 2015-52, the IRS requested comments and provided further guidance as to who would be responsible for the Cadillac tax, how it was calculated and a special “smoothing” rule for account based plans (such as FSAs, HRAs and HSAs). The issues raised by these two Notices will be addressed in future articles. For now, we will focus on how the Cadillac Tax potentially impacts account based plans. The Code states that the coverage subject to the Cadillac Tax is “coverage under any group health plan made available to... [an] employee by an employer which is excludible from the employee’s gross income under section 106, or would be so excludible if it were employer-provided coverage (within the meaning of such section 106).1 ” In IRS Notice 2015-16, the IRS indicated that it was inclined to treat FSAs, HRAs and pre-tax HSAs as being subject to the Cadillac Tax. Thus, the following coverage would generally be subject to the tax: • Major medical coverage for actives AND retirees © Self-Insurers’ Publishing Corp. All rights reserved. HSAs that qualify as group health plans. HSAs qualify as group health plans only to the extent that they fail to satisfy the safe harbor prescribed by the Department of Labor in FAB 2004-1 and 2006-2. The IRS clearly has statutory authority to clarify that employers need only include its contributions to an HSA that is a group health plan in its excess benefit determination. DCC, Inc. has become Renalogic, to offer a new suite of renal health services and deliver comprehensive Chronic Kidney Disease (CKD) care and dialysis cost management. YOU’RE NOT STUCK. You don’t have to be stuck with old technology and poor customer service. Use NAVRISK ®, our new high performance cloud-based Risk, Claims and Policy Management system. We’ll make it easy — sign up by September 30th and we’ll convert your data for FREE. Let’s get you up and running the way you deserve to be. We’ve been helping industry leaders like you for more than 30 years. We’ll get you moving faster and happier. sponsored coverage as coverage made available by an employer to an employee under a group health plan (except a group health plan that is specifically exempted) that is excluded from income under Code Section 106. Thus, there are two elements to the applicable employer sponsored coverage definition: (i) the coverage must be provided under a group health plan and the (ii) coverage must be excluded from income under Code §106. Code §4980I(f)(4) defines a group health plan for purposes of 4980I by reference to definition of group health plan in Code §5000. Code §5000 defines a group health plan as an arrangement that provides medical care that is “of or contributed to by the employer”. the meaning of Code §4980I(a)(1), which limits the tax to the excess benefit of “applicable employer sponsored coverage”, which is coverage through a group health plan. CHOOSING the RIGHT HOSPITAL | FEATURE This led to numerous legislative changes and the creation of organizations (both public and private) focused on patient safety and quality of care, including: • the Healthcare Research and Quality Act of 1999 (which authorized the Agency for Healthcare Research and Quality, or AHRQ, as the lead agency); • the Leapfrog Group, officially launched in November 2000 (citing To Err is Human as a focal point for their founding)2; • the Patient Safety and Quality Improvement Act of 2005; • the AHRQ program Voluntary Reporting of Adverse Events; and • in 2004, the launch of the “100,000 Lives Campaign” by the Institute for Healthcare Improvement (IHI), with the goal to extend or save 100,000 lives from January 2005 through June 2006 by getting hospitals to adopt targeted best practices. This program was meant to be recurrent. “… Hospitals are killing off the equivalent of the entire population of Atlanta one year, Miami the next, then moving to Oakland and on and on.” 4 All told, Americans will have an average of 9.2 medical procedures in their lifetime and according to studies, in 25% of these procedures they will be harmed by medical errors.5 It is time to acknowledge that at best, the healthcare system as we know it is incapable of repairing itself; at worst, it has only a passive interest in doing so due to conflicting financial considerations. The fee-for-service structure has the potential to reward these types of medical errors, as hospitals charge for treatment required to manage the consequences of medical errors, something we see regularly at Global Excel Management (GEM). The future is not entirely bleak, however; as we shall see, many hospitals offer quality care at reasonable prices for specific conditions – the key is finding them. The Only Complete Settlement The Only Complete Settlement Option in the Marketplace Option in the Marketplace ECHO is the leading provider of electronic healthcare payment solutions, ECHO is the leading provider of electronic healthcare payment solutions, serving over 50,000 ERISA health plans and fully insured groups through serving over 50,000 ERISA health plans and fully insured groups through a single secure ERISA, HIPAA and CORE compliant system. a single secure ERISA, HIPAA and CORE compliant system. Consolidate multiple payments into one. Consolidate multiple payments into one. Deliver payments and benefit statements electronically. Deliver payments and benefit statements electronically. Reward your bottom line from day one. Reward your bottom line from day one. CHOOSING the RIGHT HOSPITAL | FEATURE less likely to over-utilize healthcare services had better quality than higher charging facilities.13 Hospital Quality Performance is Disease-Specific All hospitals must be licensed to provide care, which means that they meet the minimum safety guidelines and have the proper infrastructure to provide care. Many consumers assume this means a facility must also provide high quality care and this is simply not the case. The Joint Commission offers both hospital accreditations and disease-specific certifications. Whereas the former deal with the entire organization, the latter deal with establishing best practices for certain types of care for a specific disease. Hospitals may get a passing grade overall, but that doesn’t mean every department functions at a high level. For this reason, quality of care data is collected on a disease-specific basis so that high hospital performers can be duly recognized for their excellence in certain types of care. orthopedics is very low? Why would one pay the same ‘discounted’ rate for both? And shouldn’t the patient be made aware of these stark differences in quality at a facility they are told is “in-network” and therefore high-quality? Is there another innetwork facility that could do better for the orthopedic procedure and possibly for less cost? Perhaps the best option for both cost and quality is out-of-network? How Consumers Choose Hospitals: Looking for a Better Way As shown above, there is a lot of misinformation about hospital care, attitudes such as “more is better” or “the most expensive care is the best care.” This is simply not factual. And yet consideration for quality and efficient care (i.e. lower cost) in hospital selection is virtually non-existent in today’s market. Today’s consumers often choose the hospital based on physician recommendation, network status, the one with the most billboards, the easiest parking, the nicest lobby, the best reputation with friends and family, etc. In other words, consumers (and in most cases, physicians) do not consult hospital quality of care data. hospital), rated at the 48th percentile of quality for DRG 234 (Comparion), charges on average $201,000 and the in-network rate is $129,000. (Comparion), charges on average $147,000 and the in-network rate is $89,000. By simply choosing Facility 2, the member receives higher quality services (and is more likely to avoid overutilization and harm) and the payer (an employer in this case) saves approximately $40,000 for this episode of care. that allows them to make informed decisions about their healthcare and finances. With proper plan language and incentives, members can be engaged to choose high value care. By factoring costs, quality and discount information, substantial savings can be achieved for payers and patients through the strategic selection of high quality and lower cost facilities. Most importantly, the member may be spared from needless and expensive harm. Change The Game What do Workers’ Compensation and Employee Health Beneﬁts have to do with each other? Everything. What if these two programs worked as one? IPMG’s new platform, In-Sight, merges the Workers’ Compensation and Employee Health Beneﬁts systems into one efﬁcient and effective platform; a single dedicated team of professionals focused on producing the best possible outcome for both your employee and your organization. review of the reported ﬁnancial results of risk retention groups (RRGs) reveals insurers that continue to collectively provide specialized coverage to their insureds. Based on ﬁrst quarter 2015 reported ﬁnancial information, RRGs have a great deal of ﬁnancial stability and remain committed to maintaining adequate capital to handle losses. It is important to note that ownership of RRGs is restricted to the policyholders of the RRG. This unique ownership structure required of RRGs may be a driving force in their strengthened capital position. from first quarter 2011 through first quarter 2015, RRGs collectively increased policyholders’ surplus 64.7%. This increase represents the addition of nearly $1.9 billion to policyholders’ surplus. These reported results indicate that RRGs are adequately capitalized in aggregate and able to remain solvent if faced with adverse economic conditions or increased losses. Liquidity, as measured by liabilities to cash and invested assets, for first quarter 2015 was approximately 70.6%. A value less than 100% is considered favorable as it indicates that there was more than a dollar of net liquid assets for each dollar of total liabilities. This also indicates a slight decrease for RRGs collectively as liquidity was reported at 71.9% at first quarter 2014. This ratio has improved steadily each of the last five years. Loss and loss adjustment expense (LAE) reserves represent the total reserves for unpaid losses and LAE. This includes reserves for any incurred but not reported losses as well as supplemental reserves established by the company. The cash and invested assets to loss and LAE reserves ratio measures liquidity in terms of the carried reserves. The cash and invested assets to loss and LAE reserves ratio for first quarter 2015 was 223.3% and indicates a decrease over first quarter 2014, as this ratio was 243.7%. These results indicate that RRGs remain conservative in terms of liquidity. In evaluating individual RRGs, Demotech, Inc. prefers companies to report leverage of less than 300%. Leverage for all RRGs combined, as measured by total liabilities to policyholders’ surplus, for first quarter 2015 was 157.1% and was unchanged when compared to first quarter 2014. The loss and LAE reserves to policyholders’ surplus ratio for first quarter 2015 was 99.7% and indicates an increase compared to first quarter 2014, as this ratio was 89.7%. The higher the ratio of loss reserves to surplus, the more an insurer’s stability is dependent on having and maintaining reserve adequacy. Regarding RRGs collectively, the ratios pertaining to the balance sheet appear to be appropriate and conservative. Since RRGs are restricted to liability coverage, they tend to insure medical providers, product manufacturers, law enforcement officials and contractors, as well as other professional industries. RRGs collectively reported over $1.4 billion of direct premium written (DPW) through first quarter 2015, an increase of 3.3% over first quarter 2014. RRGs reported $978 million of net premium written (NPW) through first quarter 2015, an increase of 45.2% over first quarter 2014. These increases are favorable and appear reasonable. The DPW to policyholders’ surplus ratio for RRGs collectively through first quarter 2015 was 120%, down from 134.4% at first quarter 2014. The NPW to policyholders’ surplus ratio for RRGs through first quarter 2015 was 82.2% and indicates an increase over 2014, as this ratio was 65.5%. Please note that these ratios have been adjusted to reflect projected annual DPW and NPW based on first quarter results. An insurer’s DPW to surplus ratio is indicative of its policyholders’ surplus leverage on a direct basis, without consideration for the effect of reinsurance. An insurer’s NPW to surplus ratio is indicative of its policyholders’ surplus leverage on a net basis. An insurer relying heavily on reinsurance will have a large disparity in these two ratios. A DPW to surplus ratio in excess of 600% would subject an individual RRG to greater scrutiny during the financial review process. Likewise, a NPW to surplus ratio greater than 300% would subject an individual RRG to greater scrutiny. In certain cases, premium to surplus ratios in excess of those listed would be deemed appropriate if the RRG had demonstrated that a contributing factor to the higher ratio is relative improvement in rate adequacy. In regards to RRGs collectively, the ratios pertaining to premium written appear to be conservative. The results of RRGs indicate that these specialty insurers continue to exhibit financial stability. It is important to note again that while RRGs have reported net income, they have also continued to maintain adequate loss reserves while increasing premium written year over year. RRGs continue to exhibit a great deal of financial stability. ■ Douglas A Powell is a Sr. Financial Analyst at Demotech, Inc. Email your questions or comments to dpowell@demotech.com. For more information about Demotech visit www.demotech.com. at 98.5%. This ratio measures an insurer’s overall underwriting profitability. A combined ratio of less than 100% indicates an underwriting profit. Regarding RRGs collectively, the ratios pertaining to income statement analysis appear to be appropriate. Moreover, these ratios have remained fairly stable for each of the last five years and within a profitable range. Conclusions Based on Financial Results Despite political and economic uncertainty, RRGs remain financially stable and continue to provide specialized coverage to their insureds. The financial ratios calculated based on year-end results of RRGs appear to be reasonable, keeping in mind that it is typical and expected that insurers’ financial ratios tend to fluctuate over time. Windsor Strategy Partners is an actuarial consulting firm that provides actuarial and strategic services to a wide variety of clients who assume risk. We have expertise in all forms of healthcare, life, disability, and property & casualty coverage. WSP excels at developing software tools, building stochastic models and the analysis and interpretation of health care data. Guardian Stop Loss Insurance Mitigate the risk of your self-funded medical plan with Guardian. Employers have counted on us to protect their employees with products like Life and Disability insurance for over 50 years — now we can protect their companies too. With a strong mutual foundation and exemplary financial ratings, Guardian has been there for our customers — and we plan to always be there — especially when they need us most. GuardianAnytime.com The Guardian Life Insurance Company of America, 7 Hanover Square, New York, NY 10004. GUARDIAN® and the GUARDIAN G® logo are registered service marks of The Guardian Life Insurance Company of America and are used with express permission. Guardian Stop Loss Insurance is underwritten by The Guardian Life Insurance Company of America, New York, NY. Policy limitations and exclusions apply. Optional riders and/or features may incur additional costs. Financial information concerning The Guardian Life Insurance Company of America as of December 31, 2013 on a statutory basis: Admitted Assets = $42.1 Billion; Liabilities = $37.1 Billion (including $32.7 Billion of Reserves); and Surplus = $5.0 Billion.. Ratings as of 7/14. Policy Form # GP-1-SL-13. File # 2014-8924 Exp. 7/15. elf-insurers should heed the new cybersecurity guidance issued in April by the National Association of Insurance Commissioners. After a wave of publicity followed two breaches to hit health insurance companies, one of which affected 80 million customers, the Cybersecurity (EX) Task Force of the National Association of Insurance Commissioners (NAIC) adopted the Principles for Effective Cybersecurity Insurance Regulatory Guidance. If your company incurs a breach and it can be proved that your company did not heed the recommended guidance, there could be a case of negligence and a class-action lawsuit. While the guidance is not a legal requirement, if youâ&#x20AC;&#x2122;re providing health insurance to your employees, you are subject to the Health Insurance Portability and Accountability Act (HIPAA) requirements and must protect Protected Health Information (PHI). Noncompliance could result in civil and criminal penalties. As well as having PHI, your database probably also contains personally identifiable information (PII), such as a personâ&#x20AC;&#x2122;s full name, date of birth, address and Social Security numbers. Both PHI and PII are gold to cybercriminals who sell that data online in underground markets. Health information sells for about $50 per record where buyers buy PHI to enable fraudulent physician visits and surgeries. PHI and PII are used to open credit card accounts, apply for bank loans and create fraudulent passports. To protect your network, the Principles for Effective Cybersecurity: Insurance Regulatory Guidance encourages insurers to secure data and maintain security with nationally recognized efforts like those embodied in the National Institute of Standards and Technology (NIST) framework. The NIST framework provides guidance on managing and reducing cybersecurity risk for organizations of all sizes, putting them in a much better position to identify and detect attacks, as well as to respond to them to minimize damage and impact. The NIST Framework consists of five functions, each divided into subcategories, as well as standards, guidelines and best practices. A security consultant who specializes in threats and cybersecurity can assess your network and help you secure your network using the NIST Framework and other standards. Whoever you work with should be familiar with common threats targeting the insurance industry, as well as the tactics, techniques and procedures attackers are using around the globe. threat exploiting certain vulnerabilities and can assess your internal and external network controls, policies and procedures, gaps compared to regulations and best practices. quickly as possible to get any attackers out as quickly as possible to prevent or lessen any damage. To spot attacks quickly, you need to monitor your network traffic and your endpoints (servers, workstations and laptops) 24 hours a day. It takes about 48 days for most organizations to recognize they’ve been breached, according to the 2013 survey report “Post Breach Boom” by the data security research center, Ponemon. However, when your network is continuously monitored, you can spot anomalous activity as soon as it occurs. In addition to monitoring your network, you also need to have detection systems on your endpoints (servers, laptops and workstations) that are also continuously being monitored. That allows you to see any anomalous activity on them so you can stop the attackers before they traverse the network. all but one trace of the threat, the attackers could still be hiding inside the network. To fully remove the threat, it often takes the expertise of a team that has handled hundreds of engagements and is familiar with the tools, techniques and procedures attackers use. The average time to resolve a cyberattack is 45 days, with an average cost to participating organizations of $1,593,627 during this 45day period, according to the 2014 Cost of Cybercrime Study: U.S. by Ponemon. That long time span and high cost can greatly be reduced if you understand the attackers and the ways they work. Professional incident response (IR) teams that conduct IR engagements full time could get attackers out in hours or days compared to weeks. Security companies offer IR retainer contracts that guarantee experts can be onsite within 24 hours to begin remediating a breach necessary and that you get discounted rates, usually saving you about $100 an hour. Without a retainer, it could take an organization a few days to select an IR team and for one to become available. The sooner you get the attackers out, the overall less cost. Results from the Ponemon 2013 Cost of Cybercrime Study: U.S. show a positive relationship between the time to contain an attack and organizational costs incurring from business disruption, data loss, recovery costs and legal costs. The total annualized cost of cyber crime in 2014 ranges from a low of $1.6 million to a high of $60.5 million. information (PII), including addresses, dates of birth, Social Security numbers, health data and insurance policy information. They should ensure their computers are password protected so an intruder would be unable to access data on it. They should also use a private network at home and a virtual private network (VPN) whenever connecting to a public network. Using a public network at a coffee shop or restaurant makes one easy prey for attackers to snoop and see everything one is doing on the computer. Attackers on public networks can see all the sites people visit and everything they type on an online site, such as their login credentials. The right VPN will encrypt all traffic so even if attackers manage to snoop on a user’s online activity, all they would see would be intelligible gibberish. ■ Dan Bonnet, Director, Small and Medium Business – North America, Dell SecureWorks, has held several roles in technology consulting and business process optimization. He holds a Bachelor of Science degree from Georgia State University. Dell SecureWorks, a global information services security company, helps organizations of all sizes reduce risk, improve regulatory compliance and lower their IT security costs. Section 4980D Excise Tax This article is intended for general informational purposes only. It is not intended as professional counsel and should not be used as such. This article is a high-level overview of regulations applicable to certain health plans. Please seek appropriate legal and/or professional counsel to obtain speciďŹ c advice with respect to the subject matter contained herein. resently, many employers are understandably overwhelmed by Section 4980H Employer Shared Responsibility requirements under the Patient Protection and Affordable Care Act (PPACA) and are diligently working to ensure compliance this year. There is, however, another excise tax that many employers may have overlooked but need to be aware of when considering their compliance requirements and potential excise tax exposure: Internal Revenue Code 26 USC Â§4980D, which assesses an excise tax on employers for failure to meet certain group health plan requirements found under USC Chapter 100.
market reforms and that they do not comply with the dollar limit or preventative care requirements under Chapter 100. Employers who maintained standalone HRAs for their employees questioned this rationale, claiming the individual policies their employees obtained satisfied market reforms; thus, the excise tax should not apply to them. However, the Notice addressed this issue, stating that an HRA must be integrated with primary health care coverage provided by the employer to be considered in compliance with section 4980D. It is important to remember that PPACA’s market reforms generally do not apply to those group health plan’s that have “fewer than two participants who are current employees on the first day of the plan year.” Therefore, while HRAs are considered group health plans for the purposes of Section 4980D, an exception may exist for a standalone retiree-only HRA. Fortunately, in March of 2015, the IRS released Notice 2015-17, which provides clarification and transition relief for employers with EPPs. Specifically, for those smaller employers not subject to the requirements of 4980H, no penalty would be assessed before June 30, 2015, giving them time to remedy their 4980D violations without having to complete Form 8928 and pay the penalty for non-compliance. However, unfortunately, this period has since passed. Employers need to be sure their group health plan is in compliance with Chapter 100 requirements. excise tax. A distinction from 4980H, where only one plan being offered to full-time employees and their dependents needs to satisfy the requirements of 4980H to avoid the potential excise tax. Yet another opportunity for TPAs to educate their clients and assist them in ensuring compliance. It is also important for TPAs to make sure their Administrative Service Agreements address the respective responsibilities and liabilities with regard to 4980D and 4980H and the potential excise taxes arising therefrom. ■ Cori M. Cook, J.D., is the founder of CMC Consulting, LLC, a boutique consulting and legal practice focused on providing specialized advisory and legal services to TPAs, employers, carriers, brokers, attorneys, associations and providers, specializing in health care, PPACA, HIPAA, ERISA, employment and regulatory matters. Cori may be reached at (406) 647-3715, by email at cori@corimcook.com or at www.corimcook.com. We Wecan can stop stop loss. Voya Employee Benefi tstscan Voya Employee Benefi canhelp helpemployers employers manage the risk of catastrophic manage the risk of catastrophichealth healthclaims. claims. Together, wewe can preserve Together, can preserveassets assetsand andprovide provide beneﬁ ts that empower beneﬁ ts that empoweremployees employeestotoprotect protect their retirement savings. their retirement savings. Our 35 35years yearsofofstop stoploss loss experience makes •• Our experience makes us us 1 1 in the nation. one of the top stop loss providers one of the top stop loss providers in the nation. Our consultative consultativeapproach approach matches your unique needs. •• Our matches your unique needs. Fromour oursales salesrepresentatives representatives underwriters to our claims From to to ourour underwriters to our claims analysts,we weevaluate evaluateevery every case ensure best solution. analysts, case to to ensure thethe best solution. •• Our erer features that mirror or enhance Our flflexible exiblecontracts contractsoff off features that mirror or enhance virtually virtuallyany anyplan plandesign. design.